Mully’s Celtic Cottage carries a variety of Celtic themed gifts and products from Ireland, the U.K., and the United States. 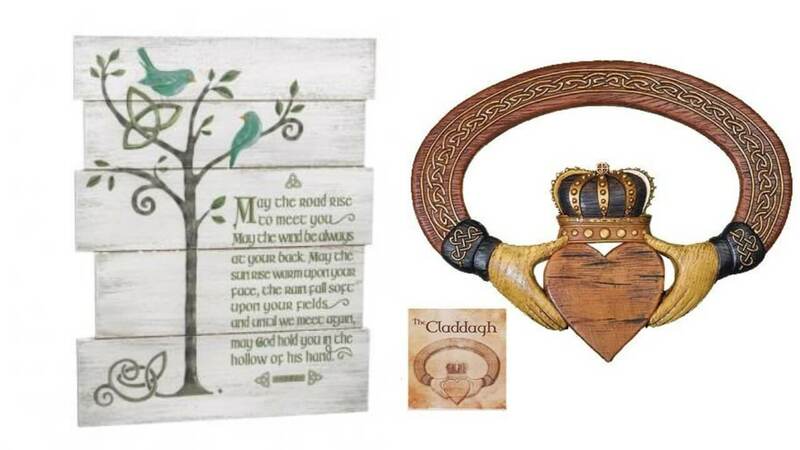 While we specialize in Irish gifts, we do have Scottish and Welsh gifts, along with Celtic religious gifts. Naturally, you can find a great selection of Guinness Merchandise! For those looking to learn more about Celtic culture and history, you will love our selection of Celtic books and Celtic Audiobooks. Create a Celtic ambiance with Celtic Music CD’s. Show your Celtic pride with Celtic auto accessories and Celtic keychains. Once you find that perfect Celtic baby gift, accompany them with a Celtic greeting card. We recently got in some new gifts for Irish Police and Irish Fire Fighters, as well as their families. You can’t leave without checking out our Celtic gifts for pets too. Represent your Irish heritage, or even just your love the Irish and Celtic culture out of the house as well. We also have Celtic decals and stickers, which represent Irish counties, Celtic Nations, Gaelic sayings, and more.